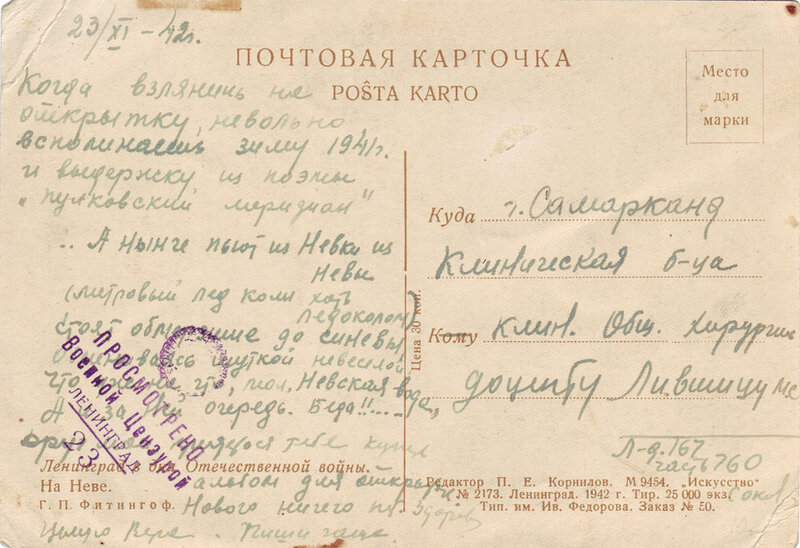 The holdings consist of 1,329 illustrated and photo postcards published and printed between 1941 and 1944 in besieged Leningrad, where, even in the worst conditions of the blockade, postcard production continued in full force. 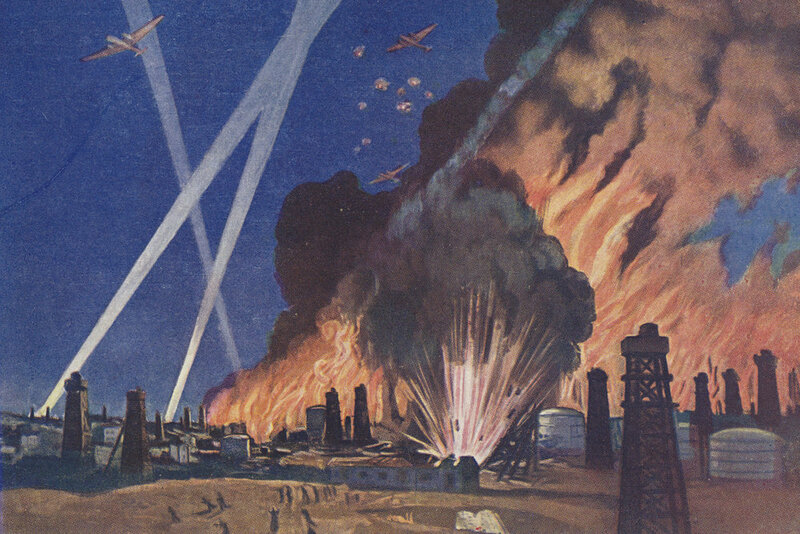 The main tasks of the siege postcards were to interrupt the isolation of Leningrad and to bring information to distant correspondents about life in the devastated city. 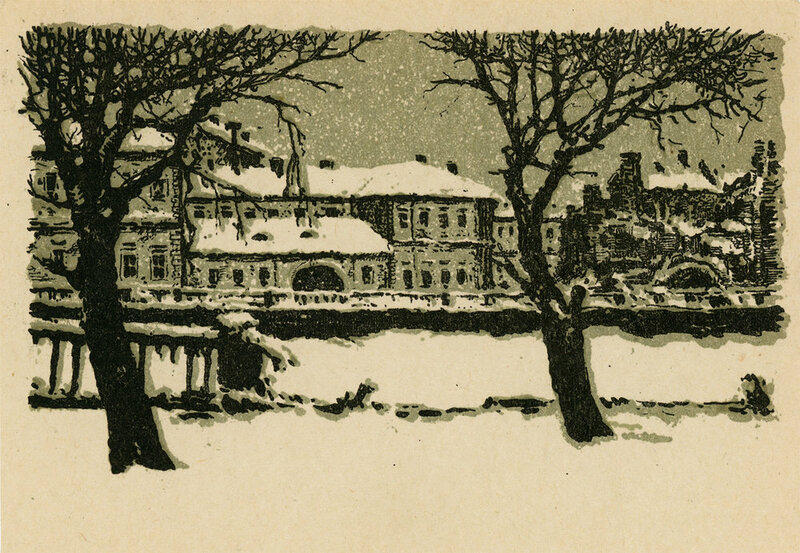 The postcard form allowed officials in the city to control this information and create a manipulated, ideologically correct image of besieged Leningrad. 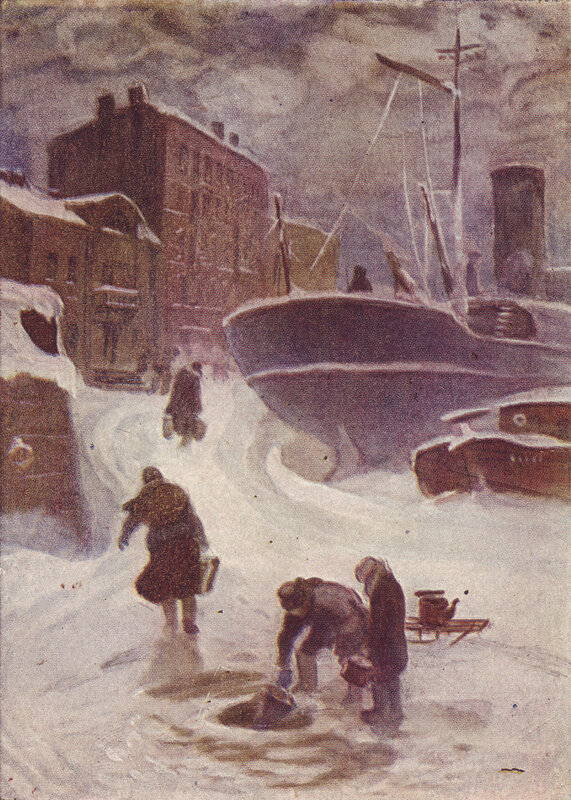 Multiple publishing houses were working hard to create images that would bring to the “Big Land” (the country outside of the city) politically correct, censored news about life in Leningrad. Hundreds of artists, poets, and musicians worked in the city trying to survive, both physically and artistically. Often, working with the ideological networks of propaganda was the most effective way to do so. This effort produced a whole archipelago of artwork, as yet unexamined by scholars. 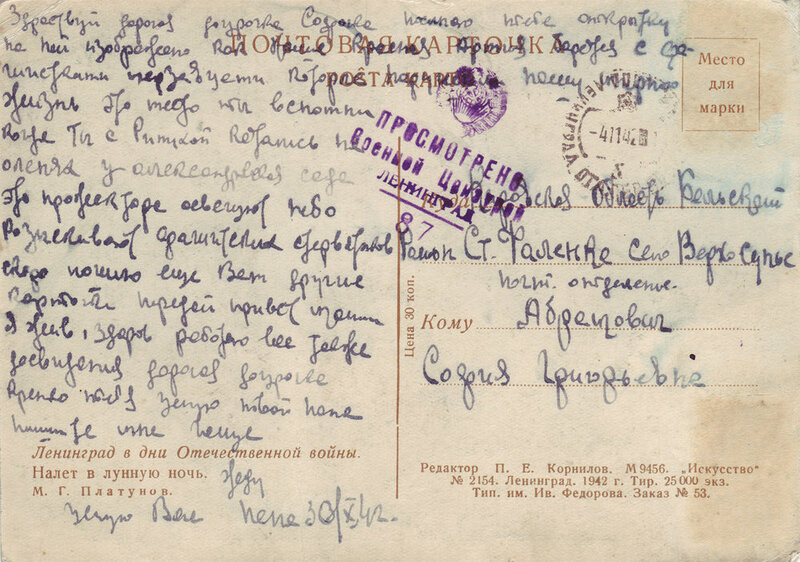 Among the makers of the postcards were some of the leading cultural producers of that time and place, such as the poets Olga Bergholz and Nikolai Tikhonov, and the artists Aleksei Pakhomov, Solomon Yudovin, and Anna Ostroumova-Lebedeva. Portraits of heroic soldiers, imagery of partisan and combat life, sketches of the working and fighting Leningrad, and landscape images of the city’s architectural beauty provided inspiration to soldiers and civilians alike. This collection was assembled by several deltiologists over the course of 50 years and acquired in 2014 from an anonymous postcard dealer.